Originally released to coincide with the spring equinox and Nowruz (the Persian New Year), the intoxicating floral confection Musk Malabi by Ayala Moriel is unabashedly feminine, subtly exotic and hopelessly romantic, evoking for the wearer a sensory experience not unlike a passionate love affair. 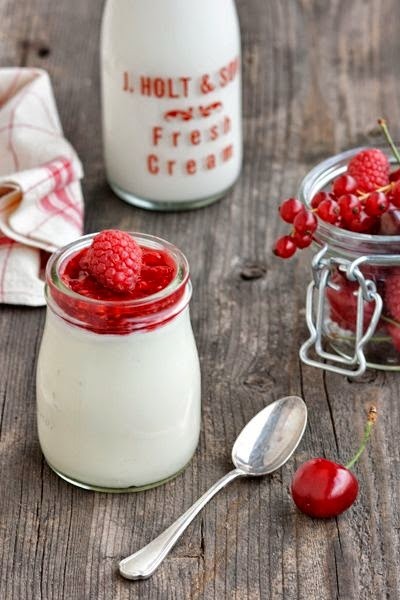 Musk Malabi was inspired by and named after a traditional Middle Eastern dessert, malabi—a milk-based pudding or custard, thickened with rice flour, which israelikitchen.com describes as "You'll taste rose-flavored sweetness and a light, creamy texture that keeps you dipping your spoon back in till the Malabi's all gone". (Actually the artisan perfumer has a recipe for Malabi on her blog!). Having grown up in Israel, the sights, sounds, and smells of the Mediterranean have always been a source of inspiration for Canadian based indie perfumer Ayala Moriel. "What has always captured my imagination about malabi is its soft, evocative-sounding name, and its unique fragrant combination of rosewater and neroli water," explains Ayala. "Rose and orange blossom are such noble flowers yet oh so different." Tunisian neroli and Turkish rose meet with musk in the heart of Musk Malabi, creating an unusual and mesmerizing triad. This botanical musk, designed to smell as close as possible to deer musk, brings an effortless fluidity to this magnetic fragrance, playing the role of Cupid in the fragrance and drawing the lovers (rose and neroli) together. There is also cardamom, coriander and blood orange on top. 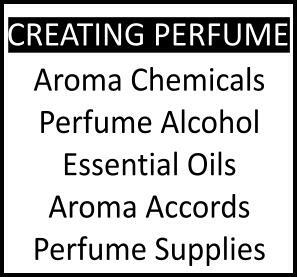 As with all Ayala Moriel perfumes, Musk Malabi is all-natural and free of animal cruelty, created entirely of botanical essences. The top and heart notes of this sensual fragrance rest on a silky bed of atlas cedarwood, botanical musk and Tahitian vanilla. 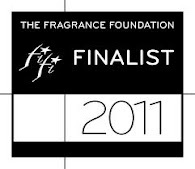 Good deed bonus in purchasing: Ayala Moriel Parfums is donating 10% of sales to aid Syrian refugees. 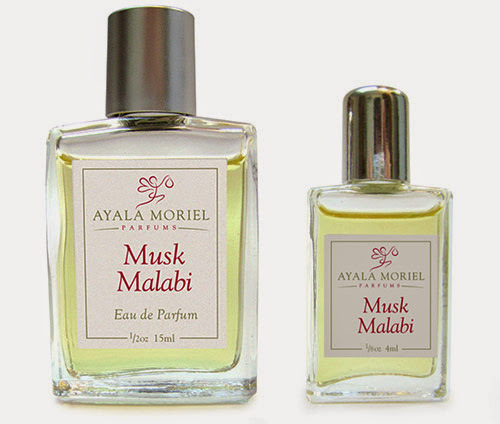 Musk Malabi is available in eau de parfum 4 ml ($49) and 15 ml ($119) bottles on the official website of Ayala Moriel Parfums and the Vancouver Giving Gifts & Company. if you like roses and musk even in the slightest, this is a wonderfully fluffy rendition, very snuggly. Ayala does make some pretty perfumes, all the more power to her.